The shop is closing permanently on Saturday, 26 March due to “lack of support from the village and the termination of the shop lease”. All deliveries cease from 5 March. Dillons, who are based at the Peachcroft Shopping Centre off Lindsay Road, will be taking over the newspaper deliveries. Dillions’ telephone number is 01235 532304. The manager is Clive Jeffs. 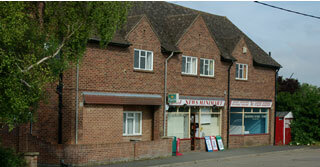 The Peachcroft Shopping Centre is about 20-30 minutes walk to the west of Radley railway station. Shops include a supermarket, newsagent, and a fast food outlet. Alternatively there are similar shops in Kennington, which is on the 35/35A bus route to Oxford. Your local shop for newspapers, magazines, groceries, fresh milk, bread and eggs, wines, beer, sweets, cigarettes, etc. Newspapers delivered to Radley every day of the week.